There is nothing as bad as an itchy back that is hard to scratch or having to deal with a pair of shoes that doesn’t slip in easily on a busy Monday morning! 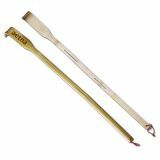 These custom back scratchers with shoe horns will help your recipients to get over both these knotty issues in one go. These classic logo gifts will impart a personal touch to your business promotions and will help you to strike up an instant rapport with your customers. This little thoughtful gift will surely make your customers sit back and take note of your message right away! 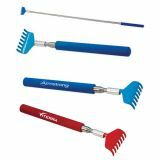 Explore our fabulous range of logo back scratchers at ProImprint and choose the one that suits your promotional budget. 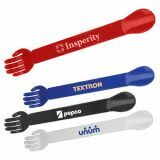 Extend a helping hand for your recipients to deal with life's little annoyances like an itchy back by handing out these logo Back Scratchers. 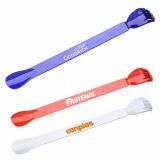 Imprint your logo and message on these daily usable items that everyone will need sometime or the other and ensure regular impressions for your brand. 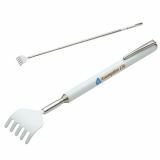 Be it as an employee gift, a tradeshow handout or a promotional gift at your store counter, no matter how you wish to make use of these practical gifts, back scratchers will never fail to impress your clients. 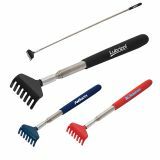 Choose from a range of colors and models including wooden back scratcher with rollers, extendable backscratchers, folding backscratchers and custom back scratchers with shoe horns among many others. 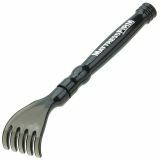 These custom gifts will make your message part of their daily lives by helping them fix these annoyances that they thought are difficult to deal with. 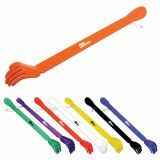 Promotional back scratchers make a practical item that everyone needs but probably not many people buy or have in their collection, which gives it an added advantage as a promotional item for your brand. These versatile items can be used to promote all types of businesses including chiropractors and massage therapists among others. 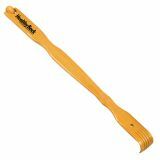 The best part is that logo imprinted back scratchers can reach out to every genre of customers in all age and gender groups with ease. 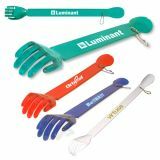 Leave your brand at the back of the minds of your customers literally by handing out this gift item! 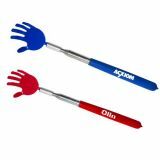 ProImprint has Promotional back scratchers for every event size and budget. 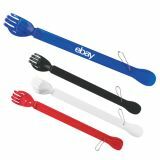 This handy functional gift will be a great choice for business promotions, conferences, conventions or events. The prominent imprint area will carry your logo and message with pride and will grab the attention of your recipients every time they use these to reach those hard-to-scratch spots or slip their heel into dress shoes. 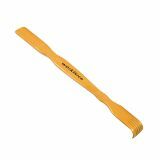 Need any help in choosing the best in custom back scratchers? 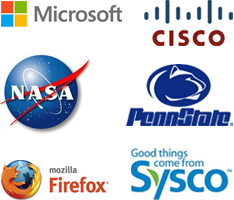 Feel free to call us at 844-776-4677 or email us at info@proimprint.com and our product experts will make your selection and ordering process simple and hassle free.